“You’ll do anything to protect them today, but what if you’re no longer around?” – this is the idea behind the latest AAMI commercial, which advertises the company’s Life Insurance. 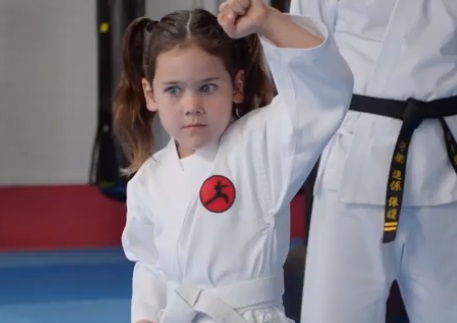 Created by Ogilvy Melbourne and titled “Karate Camilla,” the 30-second spot features a dad encouraging his daughter, Camilla, during her karate class. He reminds her the principles she must follows, namely “Defend, Connect, Protect,” but while doing so he manages to cause damage in the sports hall. Moreover, he almost gets hit in the head by something, but luckily an AAMI Insurance officer shows up and helps him avoid being hit. The ad, which also informs that AAMI Life Insurance gives you cover up to $1 million, ends with the voiceover urging you to call today. The soundtrack music is, as always, Brenda Lee’s version of “Danke Schoen”, recorded for her 1964 album “By Request”. In other spots the insurance company advertises its Fire & Theft Contents Insurance for Renters, highlighting that it provides cover of up to $25,000, its Income Protection insurance, highlighting that it will cover up to 75% of your monthly income up to $10,000 a month when you can’t go to work, its Business Insurance for Tradies, which offers cover for carpenters, electricians, gardeners, painters, plumbers and other tradies, its Health Insurance, and its AAMI Flexi-Premium, which lets you choose how much you pay or save on your premium flex if you go flexy.